As financial advisors with Oak Harvest, we have one priority: Taking care of you. As a specialized team of fiduciaries with expertise in multiple areas, we can help you develop the best retirement plan for you and your family. What’s more, we’ll meet with you, one-on-one, to fully understand your financial goals and what’s most important to you. Our meetings are an essential part of developing your strategy and building a life-long relationship. Troy Sharpe is the president of Oak Harvest Financial Group, a local family-owned financial services firm. Troy leads a team of experienced professionals, analysts, and support staff to help clients create customized financial strategies that align with their unique retirement goals. Troy holds a Series 65 license as well as a Texas life insurance license. 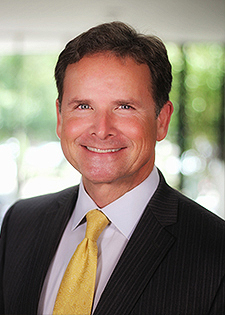 He also earned a finance degree from Florida State University and completed his Certified Financial Planning certification at the Susanne M. Glasscock School of Continuing Studies at Rice University. Additionally, Troy is a Registered Financial Consultant with the International Association of Registered Financial Consultants. Troy and his wife, Jessica, live in Katy, Texas. Jessica Sharpe attended Immaculata University outside the Philadelphia, Pennsylvania, area, where she studied marketing and psychology. Growing up in an “old-school” Italian and Irish family, Jessica learned the value of a dollar and the meaning of hard work at a young age. At 14, Jessica discovered a kindred spirit with, and an affinity for, the elderly while working in an assisted-living facility. Her childhood friends will vouch that she was the only teenage girl they knew who preferred Frank Sinatra and Peggy Lee to the Spice Girls or the Backstreet Boys. Throughout high school, she worked for a financial practice owned by a family member, where she took interest in the insurance and financial industry. Encouraged to branch out on her own, Jessica became a producer for Allstate insurance with a focus on life insurance and retirement planning during her freshman year of college. Dedicated to both ventures, she enrolled in night classes and worked at Allstate full time during the day while helping out at the financial practice whenever called upon. Jessica has truly never met a stranger. Her warm nature, energetic spirit and genuine disposition help to motivate and inspire everyone around her to better themselves and better those around them. With over a decade experience in the financial industry, she has made it her personal mission to empower and educate retirees on their financial options in retirement with a specialized focus on an underserved women’s market. 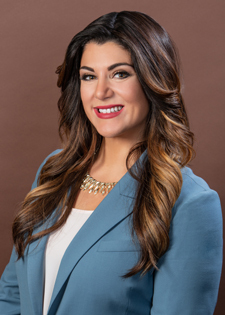 Jessica has obtained her Series 65 securities registration in order to continue her mission to build a woman-focused advisory council within Oak Harvest Financial Group. Personal interests include health, wellness, cooking, hiking, biking, painting, personal development and spending time with her husband, Troy, and their three dogs at their home in Katy. With an extensive career in the financial services industry spanning more than 25 years, Luis helps clients to financially prepare for retirement, by establishing a plan that allows them to manage, grow, protect and transition their wealth. Luis grew up in Caracas, Venezuela, and moved to Houston in 1980. 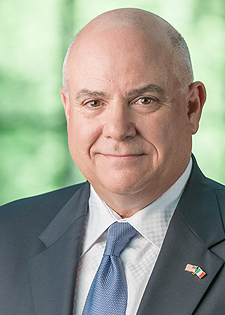 After earning his bachelor’s degree in economics from the University of Texas at Austin in 1990, Luis began his career in the financial services industry at two commodities/futures firms in Chicago, and then spent six years as a relationship manager for corporate and institutional accounts. In 1996, he helped establish the Chase Private Bank International office in Houston, before joining UBS as a financial adviser in 2003. In 2006, Luis was named the Regional Director for Wealth Management International at Wells Fargo Private Bank, where he led a team of financial advisors, trust officers and bankers through the 2008 financial crisis. It was in this capacity that Luis began to appreciate the challenges and conflicts of the big-bank and broker-dealer world. He concluded that in order to provide conflict-free advice to his clientele, he would need to transition toward the independent advisory side of the business, which ultimately lead him to Oak Harvest Financial Group. Luis has his Series 63 and 65 securities licenses, as well as a license for life and health insurance. He continually works to broaden his industry knowledge, and is fluent in Spanish and English. Luis and his wife, Nina, have two children. His hobbies include reading, football, music, tennis, golf and walking his Labrador retriever, Boo. Jared brings his clients more than 11 years of financial services experience. By applying his passion and expertise, Jared shares a mutual understanding of each client’s goals and helps them achieve those goals. His focus is on client relationships and loyalty, driving him to strive to deliver a truly rewarding experience to all of his clients. Jared attended Kansas State University, where he majored in marketing and economics. He grew up two miles from the campus and has been a passionate Wildcat fan since he was young. 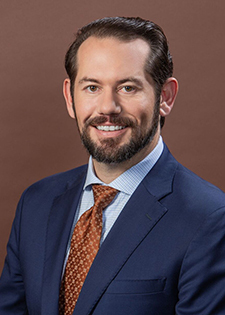 He began his career right out of college with Goheen Financial Group, LP, after which he worked at Spartan Wealth Management, LLC in 2010 for more than five years. Jared has become one of the very few retirement planning professionals in the United States to obtain the National Social Security Advisors certificate through the National Social Security Association LLC in Cincinnati, OH. The NSSA® certification is a professional certification programs providing Social Security certification and training across the nation. We believe this certification makes him uniquely qualified to help the growing number of baby boomers optimize their Social Security strategies and lifetime income. Jared and his wife, Christina, have been married since 2011 and reside in Sugar Land, Texas. With their daughters, Kylie and Reagan, they enjoy spending time with their extensive family, almost all of whom reside in the Houston area. Jared also enjoys playing golf, fishing, boating, skiing and traveling. Frank is a 33-year veteran of the financial industry and has held the Certified Estate Planner® designation for more than 15 years. He started his career in property and casualty insurance, but for the past 30 years he has worked solely with retirees and the over-50 pre-retiree set, focusing on guaranteed principal, income, long-term care and wealth transfer. 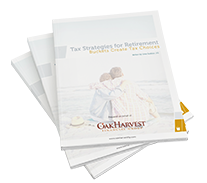 As an insurance-only specialist, Frank applies his experience and expertise to help Oak Harvest's insurance clients build the right strategy for retirement. 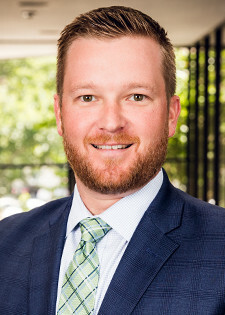 Frank's unique experience and ability to put any insurance client at ease make him of tremendous value to the Oak Harvest Financial Group team and to the Houstonians he sits with.